You must be familiar with these 2 favorite types of Magento product: configurable product and grouped product. Magento Configurable Product is composed of multiple single products coming with diverse variation. Each variation is displayed with a list of attribute options for customers to choose. 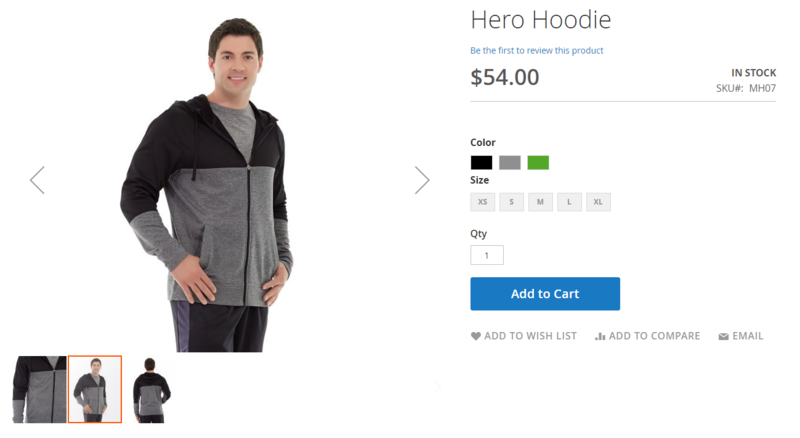 You can sell clothes with this kind of Magento product; e.g., a t-shirt having multiple color and size. You are confused about Configurable Product and Simple Product with custom options, check this article. Magento Grouped Product is made up of simple standalone products that are presented as a group. All related products can be bought separately; e.g., a knife set with different size. You can compare Grouped Product with Bundle Product here. It is like a ‘’simple product’’ with its multiple attributes. Whereas, the grouped product like its name, it looks like you are selling a group of products. You cannot add multiple associated products of configurable product to cart. Why? Because, as you know, configurable product in Magento 2 is presented as drop-down or selected box, customers add children products to cart only by choosing a value of attributes and inputting quantity for that item. It is inconvenient for merchants and B2B if they want to order in bulk. That is one of the reasons why there are many extensions for the configurable product in Magento 2 for wholesale. Meanwhile, you can easily and conveniently add multiple constituting products of grouped product to cart. 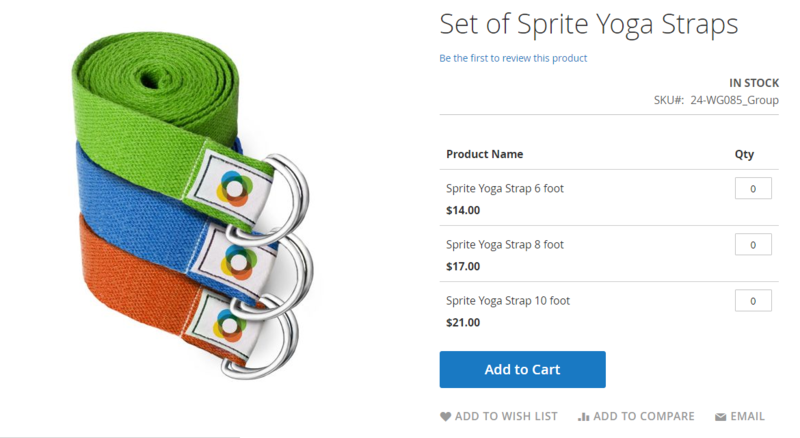 Due to the way showing the simple product of grouped product in the Magento 2 frontend, these simple items are shown with their quantity box so that customers can input quantity for many children products as wish then add all of them to cart at once. However, this also has several drawbacks like showing a long list of constituting items on the product page will lead to inferior visuals. With Magento 2 configurable product, you have to do the math to get the price. The price of the children product will be equaled the price of the configurable product plus the price of the chosen attributes. For instance, in the product page of a configurable product, a T-shirt has priced $30, if children product has different prices, that means, a Red-M is $40, a red-L is $45. However in the frontend, it doesn’t show price of children product, it justs present as form +$10 for red in color attribute in this case. In this situation, in the backend, you have to mark the red color as $10 and the L size as $5, to get true price $40 and $45for the Red-M and red-L respectively when selecting them. If the price changes for any of these different sizes or color, you have to do the math every time. It sounds complicated, right? This is the reason why most online store owners find Magento extensions when using the configurable product. Besides, tier price also doesn’t work for the configurable product in Magento 2 default. Meanwhile, using a grouped product, you can make simple products: Red-M T-shirt, Red-L T-shirt with their prices $40 and $45 respectively. 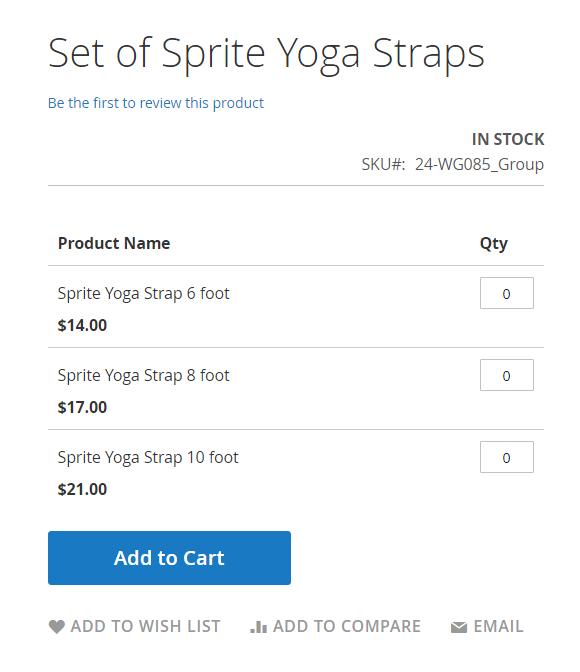 Next, you add them to associated products in the grouped product. These constituting items will be displayed with their prices. If the price changes for the red-L T-shirt, you simply update its price then the grouped product will present the new price. 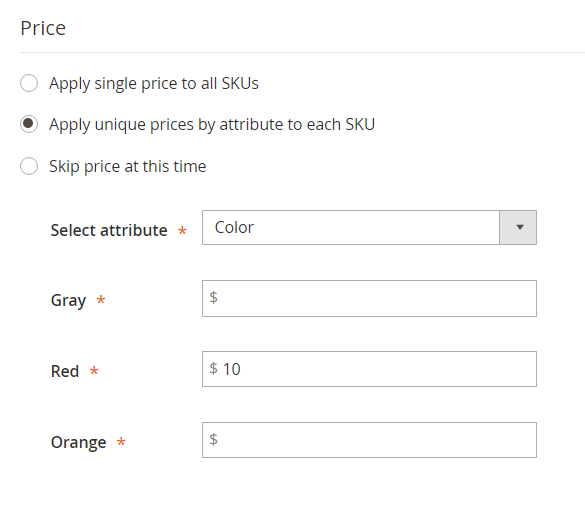 The second interesting thing of grouped product in Magento 2 is tier price work well. When using the configurable product in Magento 2, customers only add each child product to cart. However, customers can conveniently add these group of products or multiple associated products to cart at once. This type of Magento product is still suitable for selling clothes with different size and color, which will have an appropriate performance for customers experience. You can use the grouped product to sell multiple simple items as groups or sets such as a set of clothes, set of furniture, and so on or you can sell clothes, furniture individually if you want. The grouped product is used to integrate simple products for the convenience of customers.